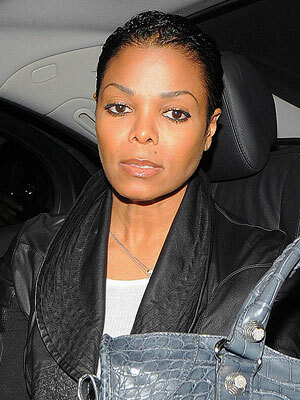 Janet Jackson’s new hairstyle on American Idol! 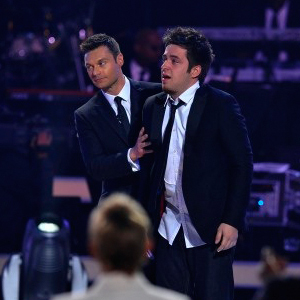 Lee Dewyz may have won American Idol 2010, but the real news is: Janet Jackson’s surprise performance when she wowed the audience with a new ballad and an old Nasty. For the first she was dressed in a fitted black gown (above) but then she stripped down to a skin-tight body suit a la Cat Woman. Her appearance was only one of many that outshined Idol Dewyz. Another reason Ms. Jackson stole the show is her new buzzed haircut. When she first got the super-short style there wasn’t a photo to be found of Janet smiling… in fact she looked unhappy with her drastic style change (below). A few days later her mood seemed to lift when she attended a special screening of Why Did I Get Married Too? in London (above left). There will be more to talk about tomorrow, so tune in! This entry was posted in Celebs, star hairstyles, star makeovers, star styles that work in real life, TV and tagged American Idol finale, Janet Jackson on American Idol, Janet Jackson's new hairstyle, Lee DeWyze. Bookmark the permalink.